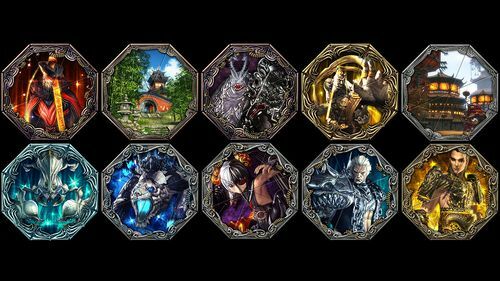 There are 8 slots for each soul shield. You can earn stats bonus whenever you get one piece of each soul shield. Soul Shield can be divided into 7 types by states. Place the same piece of soul shield and you can get a special bonus. There are three bonus stages for soul shield set. When you get 3 pieces, 5 pieces, and full 8 pieces of soul shield, you can get it. But some soul shield may only have 2 stages of bonus. Since the bonus can come from 3-5 pieces, you may mix it with your choices if you want a different benefit. For example, you may get 3 pieces of one soul shield and get 5 pieces of another soul shield. When out of combat, you can change the soul shield to get different bonuses. When you need to rethink strategy, for instance fighting certain boss or going to PvP, you can use this method to switch the bonus of soul shield set. There are 5 ways to find Soul Shield. 1. Complete certain quest to get the quest reward. 2. After defeating boss, spin a loot wheel to get orbs. 3.Exchange it for hero cards. 5. Drop from a boss directly. 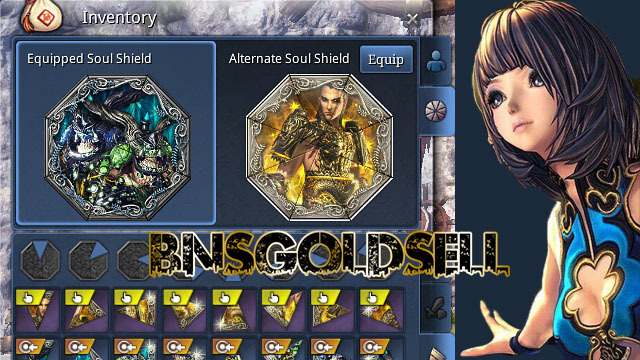 Similar to weapons in Blade and Soul, you can upgrade Soul Shield as well. In order to increase stats bonus, you can upgrade each available soul shield. You can get fusing elements as upgrading ingredients. To find a material, you just need to salvage the unused soul shield so that you can get fusing element. You can upgrade soul shield by using this way to equipped soul shield. Destroyer: Destroyer should consider damage output as the best thing. Then you can choose Battle Soul Shield set to increase hit/critical. Or if you want some survival ability, you can choose Parry Soul Shield set to increase block rate, or Black Dragon Set to increase random parry or evasion. Blade Master: Since Blade Master is a versatile class, soul shield set choosing should depend on the role you act. For damage dealer, you can choose Battle Soul shield set to increase hit/critical. For tank, you can choose Defense Soul Shield Set to add defense and HP, and Parry Soul Shield Set to add block rate. Force Master: This is a powerful cast. Soul shield choosing should depend on the play role. If in solo style, durability is the most important so you should Defense Soul Shield Set to add HP and defense. For party style, you can choose to go full throttle, so Conjuring Battle Soul Shield Set is good for you to increase HP and critical. Assassin: Since Assassin’s job is to kill enemies as fast as they can , Critical Soul Shield set is the best choice to increase critical damage, or Scorpion King Soul Shield set is alternative choice to add parry and critical. Blade Dancer: Blade Dancer should focus on damage and evasion. Since this class is well known in speed and high damage, balanced stats is better than getting one stat only. So choose Crit to increases critical damage and Evasion to increase flee rate. Summoner: The choice should boost more damage. Critical Soul Shield can help increase critical damage. Or choose both Defense set to increases defense+ HP and Hit Soul Shield Set to increases accuracy. Kung Fu Master: This class can be both tank role and DPS role. For DPS set, Battle Soul Shield Set can help increase hit/critical, Tower of Mushin Heroic Battle Soul Shield Set, and Parry Soul Shield Set to increase block chance and Critical Set to boosts critical damage.